My paintings 'Silver Sea' and 'Slip' were selected as Editors' Picks in the Minted Large Format Art Challenge! They are now available in a wide variety of sizes and can be ordered with or without Minted's great selection of framing options. This brings my collection of Minted prints to 13 and I now have samples of each print available to view in my studio/gallery so please stop by if you'd like to see them in person! Earlier this year I had the honor of being included in the Bainbridge Island Museum of Art 5th Annual BIMA BASH! 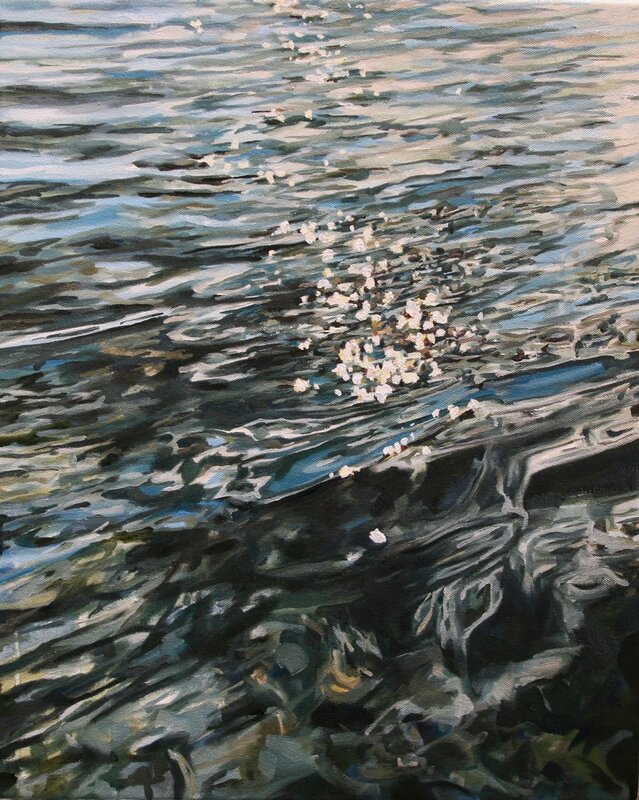 My painting, 'Quicksilver', was included in the silent auction to raise funds in support of our amazing island museum. It was a thrill to see my painting hanging amongst the work of so many truly talented Pacific Northwest artists. 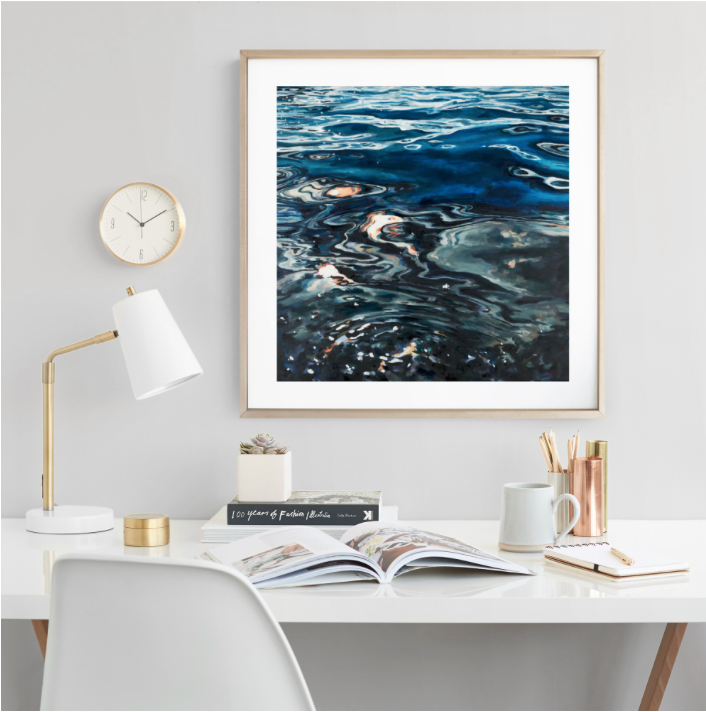 I have two new limited edition prints now available at Minted: my gouache paintings 'Wishy Washy' and 'Swoop I' were both chosen as Editors' Picks in the recent Young at Art Minted x Pottery Barn Teens x Pottery Barn Kids Challenge! These prints are available in a wide variety of sizes ranging from 5" x 7" up to 44" x 60". Minted also offers a lovely collection of framing options and paper choices. And as always, use the code SHIPFREE for free shipping and free returns. 2018 is here and with it comes the opening of my new studio located near my home on Bainbridge Island. I have been hard at work for the last couple months getting this new space ready and am so excited to finally open my door and invite you all in! I will be open by appointment and plan to hold open studio hours whenever possible. The space will act both as my studio as well as a gallery showcasing completed paintings and my collection of limited edition prints. My studio is located in downtown Winslow, just a short walk from the Bainbridge Island Ferry Terminal, at 270 Madison Avenue South. On Friday, January 5th, I celebrated my new space during our local First Friday Art Walk. It was truly a dream come true to welcome in so many friends, neighbors, and especially my family, and to kick off the new year in my new location! Please let me know if you'd like to stop by for a visit - I would love to show you around my new space! And if my open studio sign is out front, I hope you'll pop in and say hello!